An updated look for the 2018 holiday season to promote the seasonal Holiday Blend. We started with the bag design and promoted the new seasonal look on a sales sign, stickers, and holiday greeting cards. This was a design for an airpot tag that would be displayed on all coffee pots in restaurants, banks, and other venues. The design featured an open layout in the middle to accommodate a label that would be printed in-house and changed as needed for each type of coffee. 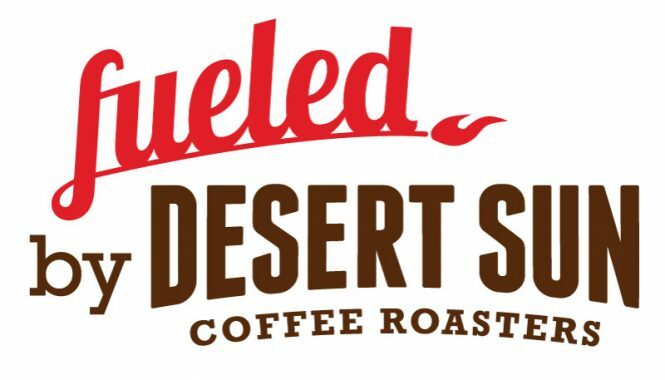 Branding Campaign "Fueled by Desert Sun"
The concept of “fueled by desert sun” originated as a social media campaign using the hashtag #fueledbydesertsun. This concept was then integrated as part of a new brand identity to increase retail sales and online awareness. The project included designing a custom logo to accompany the new tagline. This was then applied on tee shirts and throughout the website. This was a project to redesign the business card. The new brand identity colors and images were applied. Several cards were needed including two cards for employees, a generic card with no name, and a card that could be edited in-house via a PDF reader for future updates. Cards were printed via Vistaprint. Custom one-sided postcard sized mailers that will be included with every coffee purchase. One card was designed for new customers with a reorder coupon. The second card was a general card with updated branding for all coffee orders placed online. Custom single sided wholesale flyer designed for advertising locally. 10-page coffee guide customized with new branding and updated labels from Desert Sun’s label generator. Custom imagery and design for a Ram 1500 Promaster. Included front, back, drivers side, and passengers side. Check out the van live in action below! 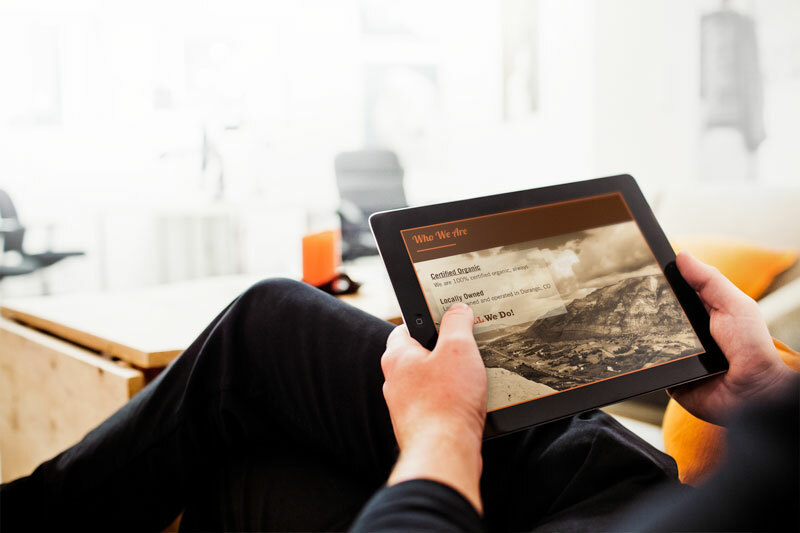 This interactive iPad slider presentation was designed to accompany the sales associate during marketing presentations. Photo heavy for a quick visual reference, this presentation includes a full table of contents. 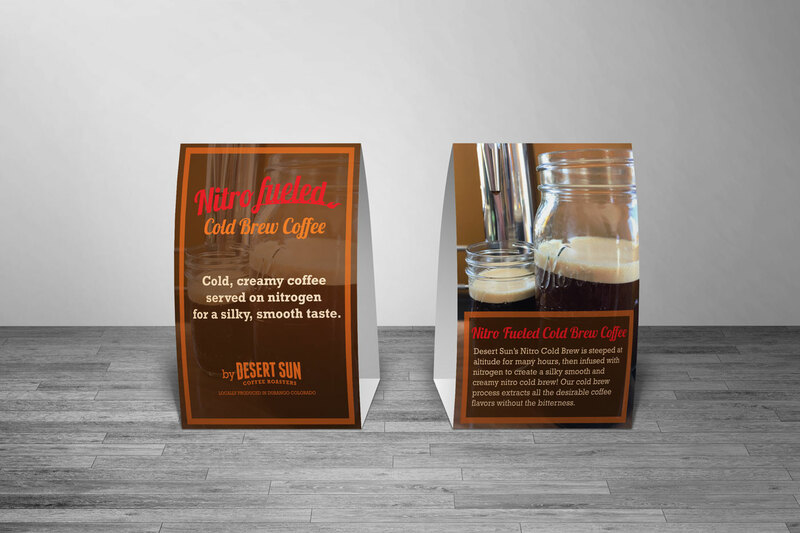 Custom signage for 6″ x 4″ table tents and 8″ x 11″ sign for use in cafe’s and restaurants to advertise Desert Sun’s new Nitro Cold Brew line. We incorporated the new “fueled by” brand into the new product design. 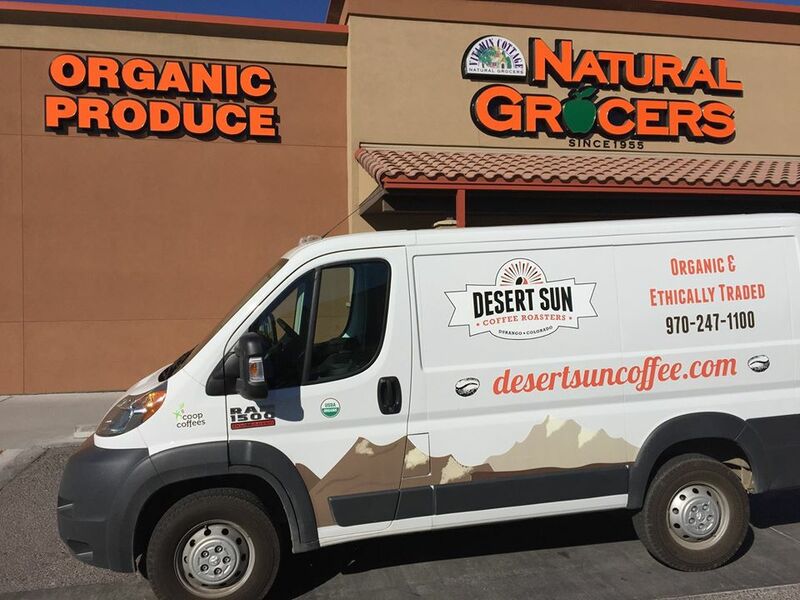 Desert Sun Coffee Roasters is a locally owned coffee company that distributes organic, fair trade coffee nationally. 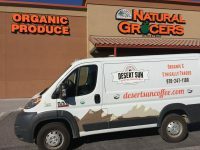 Projects completed for Desert Sun included both digital and print media designed to update their business brand and increase online sales. Check back for updated portfolio samples!